This page in a nutshell: Provides (as yet un-adopted) guidance/direction on how planet articles should be developed/overhauled. This is my recollection of the origin of the BTW planet articles. It may be flawed in regards to some specifics. 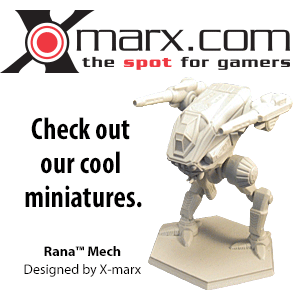 In the Great Before, Sarna.net existed for many years (since 1994) as a forum of BattleTech enthusiasts and a directory of files for fans to either to showcase or download. (Sarna may also have played host to Neveron, but I don't know enough to comment about that.) Visits to Sarna were not too frequent (by this fan), but they sometimes resulted in finding gems in the files. But in 2006, the Great Founder, Nic Jansma decided it could be better. And so he sought high and low (I presume he used MSN Search, since he resides at Microsoft as a way to fill his days, but he may have been able to use the beta Windows Live Search...we just don't know) for a manner in which to bring added value to his domain. And his search was successful, as he downloaded and then installed the MediaWiki software, most famously used as the basis for Wikipedia. And on the 8th of September, Nic welcomed all to his new world o' information and things were good. Of course, there was a little bit of backstage stuff going on, such as the wikifying of both the CCG files and planetary information accumulated from the Inner Sphere Atlas. By doing so, Nic immediately lept to the front of online CBT encyclopedias: one (a wikia) had less than 200 articles, the other was limited to article submission only and could not be corrected on-the-fly by the reader. By employing his 'bot' to auto-generate articles based upon the data he had at hand, he quickly outnumbered the pages of the wikia (and brought me on board by doing so). However, that database was far from precise and the auto-generation...generated...some errors of its own. Primarily, many planetary coordinates were screwed up, with the X coordinate doubling for the Y coordinate. No 'fluff' text was provided with the planet articles and the map images were reliant on the coordinates provided. Also, as Sarna had no contributors at the time, the format of the article was not vetted by consensus (as none existed). 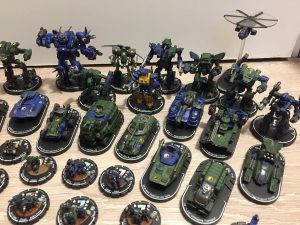 Many dedicated writers and editors registered with the site, creating the first (in my opinion) successful project, with creating a series of articles on BattleMechs. This project influenced others: vehicles, ships, products, etc. And, though there was much desire to improve the planet articles and bring them in line with the developing standards that existed elsewhere, the sheer numbers of articles was intimidating. Not that no efforts were made. Many planets had their Y coordinates fixed, but as there are more than a few planets that have never had coordinates provided, not all saw the treatment. Two efforts (that I recall) began to fix the map images provided, but both fizzled. Other efforts were made to provide fluff to planets, but these were more individual efforts (both from a writer's perspective and per article). Other issues were discussed, but so far -in spite of a project- no significant efforts has been made. Hopefully, that will now change. Pages that link to "planet name"
This is unnecessary. It exists already in the (left) sidebar for every article and is it not employed for any other class of article. This note tells us something about the next entry, the system coordinates, that seems superfluous, as it tells us the coordinates are based off of the system's relation to Terra. discussed above, these maps are near worthless, due primarily to the unreliable coordinates upon which they are based, but also because of their scale. The appropriate means to receive location awareness is to click on the image to get a larger view, but they are designed to show just over all system within 2 jumps. I'm unsure how to improve upon the scale issue, but the images do need to be regenerated for corrective action. By no means irrelevant to the subject matter, this remains the first real information that a reader might seek. What that means is the subject planet has yet been identified before we go into a subject somewhat arbitrary in its importance. The intent for most articles on BTW is to open with a planet intro statement ("Planet X is located in the Inner Sphere and is most commonly associated with the Free Worlds League.") and then a description or history of the planet/system. Potentially a good 'list' to have, the method in which is has been presented is lacking. Right now, eras have been used to show who owned it when, but the list is not reflective of when the planet actually changed hands. While the eras used are significant (Star League, Late Succession Wars (3 years), Clan Invasion (2 years), FedCom Civil War), they don't tell a reader anything about the politics and events that occurred with that planet. What an extensive list. I admire the original team (from the Inner Sphere Cartography Society) and its efforts to create a database to allow for JumpShip routes. The problem is it serves no purpose on BTW. The database's original intent was for a person to select a starting planet and a destination planet, and the ISCS site would determine the shortest route, based on the limited (by 2 jumps) planets nearby each leg of the jump. The translation over to Sarna may or may not be accurate, but as far as I know, it's never been checked. Also as far as I know, as new planets are added to the canon, they are not added to this table on all planets within 2 jumps of it. While I understand someone may value being able to see a list of such planets, the decision to limit it to 2 jumps seems peculiar and the fact is the information is part of a table, also depicting who owned those planets over the years. I definitely believe that these tables are not being updated, as the canon progresses through the decades. Therefore, this suspect table is also growing outdated as time moves on. Category:Planets. That's it. Unlike 'Mechs, which are categorized five ways to Sunday so that a reader can find similar models that meet a certain search criteria, or Characters, which can likewise be sub-divided, the articles were only added to one top-level category: Planets. Categories can provide so much more information about a planet than being (solely) dropped into a category with 2,332 other alphabetized planets. What about doing away with the coordinates completely? As it stands, they are either uncited as to source, or when cited, it is to a non-canon meta-source. In order to put them in the infobox (a necessary step, as they shouldn't exist in a formalized spot in the main article), the project member would either have to take on faith the coordinate is correct, identify a coordinate (if it exists) from a canon source, rely on interpolation or leave the coordinate field blank. If coordinates are retained for the overhaul, each one will require a fair amount of research before the decision is made as to what to display. My argument is: what value do coordinates provide? How do the readers use them? Is Sarna the first stop by someone seeking to determine a JumpShip path, or do they go to the ISCS or Bad_Syntax's cartography program first? The coordinates can't be the method in which they determine the relative neighborhood of the system. I know that I personally have spent more time trying to improve the reliability of coordinates here on Sarna than I have in referring to them. Strike that: I have never once come to Sarna to identify a planet's coordinates for any reason other than to check its reliability. There are better ways to provide that relative information, and I'd much rather provide a specific map image to do that then spend the time necessary to provide coordinates of dubious value or reliability. Kill it. No place appropriate here. I understand a lot of effort has gone into it by some editors here, in an attempt to clean it up, but its of questionable value, as discussed above. And that defines a typical, unmodified planet article. What can be done to improve these articles? Let's have no doubts about the mission: the planet articles need to be improved only via a major overhaul. There is just so much information that can be added to these articles, which would allow them to become useful sources of information. I don't dare hazard a guess at how many hundreds of products exist that mention the myriad of planets within BattleTech, but the manner in which these articles are currently established does not lead editors and writers, much less casual visitors, to improve them. Because of the way they were built, the template that was employed, the come across as complete article, identical in structure to thousands of other similar planet articles. But they are flawed and quickly identify to the reader they cannot be a source of the relevant, specific-subject material most readers seek. There is no doubt, either, that any effort to improve these pages will be long and complicated. And potentially capable of screwing up that one advantage the articles do have: consistency between subjects. Any effort to overhaul will have to be managed, not free-form. There must be an established format presented and a series of phases that are both understood and track-able, easily identified as having been completed. Most of all, there must be dedication on the part of the project members and prior planning. That's where this essay comes in. An infobox template exists; this is a minimum, and possibly early, phase for the planet overhaul. Some repetitive information should definitely be added to it, especially so the Planetary Data sections that have been imported into many articles can go away. While the original, canon Planetary Data has evolved over time to include more and more information, most of that can be displayed within the infobox. Also, the material should be largely (if not completely) restricted to static information. That is, no listing of a mortal name inside the infobox (such as with precentors). Information that could be expected to be missing (such as founding dates) can be applied using conditional ("if") code within the infobox template. (USIIRs & capitals should be provided, when known.) Citations for infobox data should be a requirement for each entry in the box. Map graphic: one idea that was suggested that would provide more relative information regarding a planet's location than the coordinates is the inclusion of maps, canon ones, that are cropped as appropriate, to depict the faction itself (or just the region, where too many planets drown out the subject one), with (possibly) the subject planet colorized to pinpoint location. Clearly, these maps would be too small in the thumbnail to valued, but even the existing ones only provide any relative information when clicked upon, expanding the available view. If the subject planet is colorized, there will be many (as in 2 thousand plus) images added to the database, and more added as planets are built into the canon. However, they would replace coordinates and it is my belief, the creation of these individual images would actually take less time (when based upon stock images) than researching the coordinates themselves would. Plus, they would not have to be updated, as long as the existing map showed the subject planet relative to its major factional points of references (in other words, just because new planets were added in or taken away, the (outdated) image still provides the relative intended location). By 'template' I do not mean the code that inserts a ready-made product into an article. Instead, I mean a new format needs to be developed and then copied over the existing article. This is where a lot of discussion needs to take place, as what should each and every article have, in the way of sections? History: As I brainstorm for this essay, I'm referring to Wikipedia articles on countries, which clearly have much more data per article than most canon sources can provide for any subject planet. However, one early distinguishing criteria is History. I think, with the derth of historical data for each planet, it might be best to add/update the Owner History (which would be a subsection of History) first, to allow for textual history to be determined in a standardized fashion for those planets missing actual text fluff. Deployment Data: I prefer this term over Garrisoning Military Force, since sometimes that force is temporary and not considered friendly (thinking of the Jihad here). This would be a subsection of the History. Geography: Again, not all planets will have these details, but there are plenty that do. This deserves its own section. For planets that exist 'singularly' within a system (unlike Terra, which shares the Sol system with Venus, Mars and Jupiter), a sub-section can describe known orbital and system details. Planetary Locations: As seen on Luthien's article. These will be bare of information or have extensive locations to be added (or somewhere in between the two). When necessary, to prevent overly long pages, a scrollbox code can be added. These locations can have brief descriptions or links to more informative articles. They should be listed in a hierarchy of continents and oceans down. For example, a major ocean will be indented beneath it to indicate seas and islands, while a continent will go down to regions, mountain ranges or straight to cities. The cities might have locations listed under them, such as universities. Industry/Manufacturing Centers: I prefer the former term, but these would fall as a sub-section to Planetary Locations, with links to the associated center (thanks to Project: Technology). It should include destroyed facilities, as well, and so marked. So, that is my Project: Planet pitch. BrokenMnemonic and I will be providing at least two example articles demonstrating the overhaul. I'd appreciate comment and interest to be expressed on this essay's talk page. Once we have consensus as to what needs to be done, I'll revamp Project: Planets to allow for the overhaul's management. But, we really do want & need comment, so that a fair amount of discussion can lead to a productive consensus. This page was last edited on 10 January 2018, at 12:50.